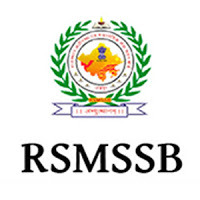 RSMSSB Jobs Recruitment Notification 2019.Rajasthan Subordinate and Ministerial Service Selection Board inviting applications for the positions of Investigator.Interested and Eligible candidates can apply for the positions. Graduate degree in Maths or Statistics. Junior Certificate of the Agricultural Research Statistics Institution ICAR. Candidates log on to http://rsmssb.rajasthan.gov.in/index.html.